At last, some news after the holidays. 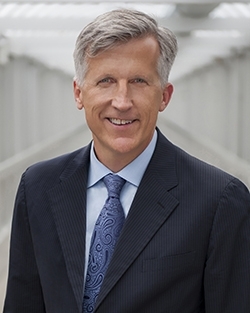 Greg Maffei will continue as President and CEO of Liberty Interactive Corp., parent of QVC, and Liberty Media Corp. through 2019, the companies said Monday. Their boards approved new employment arrangements with Maffei. Maffei, usually a man of few words, had his own quote, although he didn’t say much, other than brown-nosing his bosses. Under the Maffei’s new deal, he will get an annual base salary of $960,750, increasing annually by 5 percent of the prior year’s base salary, and an annual target cash bonus equal to 250 percent of the applicable year’s base salary. He also has the opportunity to earn annual performance-based equity incentive awards during the employment term. And they are sweet. Liberty Interactive operates and owns interests in a broad range of digital commerce businesses attributed to two tracking stock groups: the QVC Group and the Liberty Ventures Group. The businesses and assets attributed to the QVC Group (Nasdaq: QVCA, QVCB) consist of Liberty Interactive’s subsidiary, QVC Inc., and its interest in HSN, Inc., and the businesses and assets attributed to the Liberty Ventures Group (Nasdaq: LVNTA, LVNTB) consist of all of Liberty Interactive Corporation’s businesses and assets other than those attributed to the QVC Group, including its interest in Expedia, its subsidiaries Provide Commerce, Backcountry.com, Bodybuilding.com, CommerceHub, LMC Right Start and Evite, and minority interests in Time Warner, Time Warner Cable, Lending Tree and Interval Leisure Group. Two Jewelry Television alums have found news careers — as real estate agents. First Libby Floyd, who was on JTV for a brief year after a long tenure at ShopHQ, has joined Coldwell Banker Residential Brokerage as a Realtor in Cali. Venice, to be precise. “Coldwell Banker Residential Brokerage represents the most expensive home in America….it’s a cool $195,000,000. Any takers? I’d be happy to show it to you!” she posted on Facebook. That would be a tidy commission. 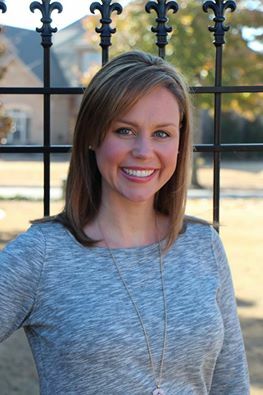 And former JTV host Erin Moseley has a new gig at Alliance Sotheby’s International Realty, as an affiliate broker/Realtor in Knoxville, Tenn. Curiously enough, Moseley’s bio on the company website doesn’t mention her recent tenure at JTV. are a good sales person, you should be able to transfer those skills to sell any product. We say the same thing in the journalism biz. If you’re a good reporter, you should be able to cover any beat. Good luck to both these classy ladies. Christmas can be a very trying time if you have loved ones who are ill. But former QVC host Lisa Mason is embracing the season even though her husband Gino is battling cancer. This Christmas Day, my Beloved will be receiving chemotherapy. And, I could not be more grateful. No tree to trim, no gifts to open, no family with us, (he is vulnerable with low white cell count) but I could not be happier! He is with me. He is alive. He is fighting. We are in love. We are thankful for each day. This will be our best Christmas ever! Hold your loved ones close and thank The Lord for his grace!!! We love you!!! Merry Christmas. Please remember the real reason for the season!!! Prayers to both of them. QVC has appointed Mathias Bork to the position of CEO of QVC Germany, effective Jan. 1, the company said Monday. Bork will be responsible for overseeing QVC’s operations and growth in the German market, succeeding Steve Hofmann, CEO of QVC Europe, who has held the role of interim CEO of QVC Germany since the end of 2013. Bork will continue to report to Hofmann. “As we continue to expand globally, our nearly $9 billion business requires a leadership team that is agile, insightful and ready to move with our customers in an increasingly global and connected world,” Hofmann said in a canned statement. Germany is QVC’s largest business in Europe and its second-largest business outside of the United States. Bork has more than 25 years of experience in the retail industry, having worked in both German and international positions throughout his career. Since joining QVC Germany in 2009 as chief merchandising & sales officer, Bork has collaborated with many members of the international executive leadership team to execute key priorities and aspects of QVC’s business inside and outside of his direct areas of responsibility. Prior to joining QVC, Bork was a member of the management board at Home Shopping Europe and has held prominent roles at prestigious retailers. He will continue to be based at QVC’s Germany headquarters in Düsseldorf. In addition to reaching a German audience of 41 million homes, QVC reaches more than 300 million homes worldwide, including the United States, Japan, Italy, United Kingdom and China. Next year QVC will increase its global presence with the launch of QVC in France. We just started watching Lisa Robertson’s swan song on QVC. She looks gorgeous in a long black evening gown. QVC has set up a nice going away party for Lisa, and we’re waiting to see if there will be any water works when the show ends. Viewers seem to either love or hate her. Ultimately, we think she was a class act, although we still can’t believe it when she says she owns virtually every item she sells on the network. The big question, unless we missed this earlier, is where is Lisa going? The vendors are out in force to wish her well, including Laura Geller and Dennis Basso. Basketball legend Shaquille O’Neal is coming to HSN Sunday shilling Drone Precision Timepieces, a new collection of men’s and women’s watches, the network said Thursday. “The collection of 18 styles represents a new generation of timepieces fueled by passion and the pursuit of precision, style, and sophistication,” according to HSN press release. The timepieces have leathers, carbon fiber, stainless steel, mother of pearl, and crystals from Swarovski, with prices ranging from $149 to $295. A portion of all proceeds will go to support the Wounded Warrior Project, which honors and empowers wounded service members and their families – a valued cause for Shaquille, who grew up on an army base and an organization that aligns with the mission of HSN Cares. 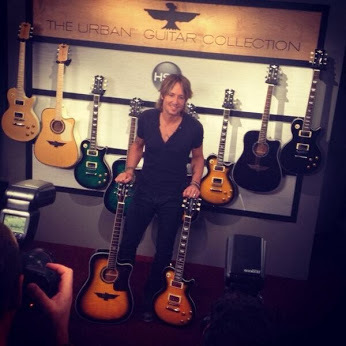 On the heels of his win at last month’s Country Music Awards, and being nominated for two Grammy Awards for “Best Country Solo Performance” and “Best Country Duo/Group Performance” just last week, Keith Urban will be back at HSN this Sunday with his latest guitar collection. The spouse of Nicole Kidman will be debuting his Deluxe “Player” Guitar line. “I first started playing the guitar when I was six and I remember feeling an instant connection to it,” Urban said in a canned statement. Urban will have the Today’s Special, his fourth HSN guitar collection, at a price tag of $299.95, $100 off of its regular price at the home shopping network. Urban’s largest guitar collection to date, the Deluxe “Player” package comes with a 30-DVD lesson series where the handsome singer teaches aspiring musicians the fundamental building blocks needed to learn how to play 30 hit songs: 15 of his top hits and 15 classic rock favorites. The “Player” features two versions of the guitar: an all-wood body, handcrafted, Acoustic-Electric guitar with built-in on board 4 band EQ and tuner; or the Solid Body Electric guitar complete with double humbucker style pick-ups, 3 way selector switch and volume and tone controls. Each 50-piece set is available in four color ways including the Keith Urban signature Brazilian Burst, Rich Black, Crimson and Jade. We’ve done several recent blogs critical of CEO Bozek’s plans to rebrand the No. 3 home shopping network as Evine Live. We really can’t make head-nor-tail of the name change and the meaningless management-speak that Bozek and his new crew have used to explain it. And we have written as much. We also blogged recently on ShopHQ’s debut of a food line linked to the Discovery Channel reality hit “Deadliest Catch,” a show that one of Bozek’s boys created, producer Thom Beers. Beers is also on ShopHQ’s board. WE MADE A MISTAKE (Bless me father, for I have sinned, through my fault, through my fault …) when we read a recent ShopHQ SEC filing, and thought that Beers had left the board. Mea culpa for our error. But here’s the thing. We are writing a blog, which means we are offering our opinion. That is basically by definition what a blog is. For someone who claims to be trying to turn ShopHQ into a digital dynamo, Mark Bozek doesn’t seem to have a clue about an Internet basic. And Mark Bozek, if you think we are bitchy and bitter, you should take a look at sites like “Gawker,” or “Television Without Pity”‘s home shopping forums — and pray that they never take aim at ShopHQ. And by the way, Bozek wrote us an email expressing his displeasure with us right after his new management team took over at ShopHQ. We had written a blog saying that ShopHQ vendors and hosts must be nervous wondering what their fates to be. Bozek essentially told us to knock it off, not to make his people nervous. Dude, new management usually brings in its own folks, makes changes. That is what Bozek promised when he set out to ouster Keith Stewart. We let that pass, but no more. As we blogged, the New York Post wrote a glowing puff piece on the rebranding of ShopHQ to Evine Live, saying that Bozek is out to revolutionize home shopping or some crap like that. We fear the emperor has no clothes, and he doesn’t like it when someone like us points it out. A Thanksgiving Day fire at a Harry London candy warehouse is putting the Grinch in Christmas for customers who ordered the sweets from QVC. One customer on Facebook posted that she had received this email from the No. 1 home shopping channel. We think the gourmet Harry London candy was a TSV. We looked up the news stories about the fire, and here are several. Thankfully, no one was hurt. The blaze took place at the Fannie May Chocolate warehouse and distribution center in Maple Heights, Ohio. We didn’t know that Harry London was made by Fannie May. Right after the fire, Fannie May on its website said that it had stopped taking orders. But now the confection company is back in business, although apparently not back enough to salvage all the QVC orders. Condolences to former HSN host and ShopHQ vendor Chris Scanlon for the loss of her ex-. Scanlon posted the moving news about her former husband John on Facebook Friday. 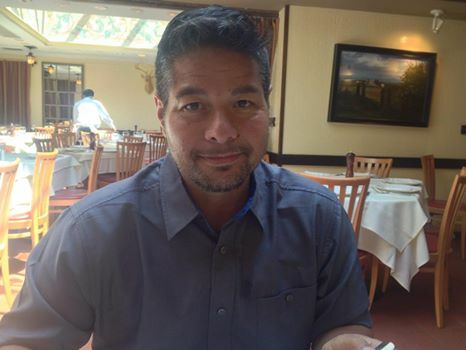 “Well sad to say but John Scanlon, my children’s father died today at 4:20Pm,” she wrote. You are currently browsing the Homeshoppingista's Blog By Linda Moss blog archives for December, 2014.